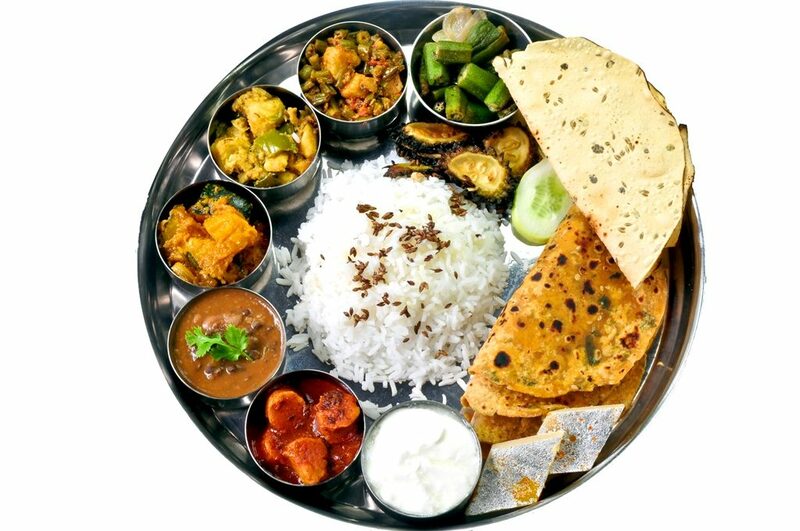 Food plays a key role in Indian culture, and relationships are built through preparing, offering and serving food. When you offer someone food, you are also offering friendship; and when you invite someone home for dinner, you are actually inviting the person into your life. 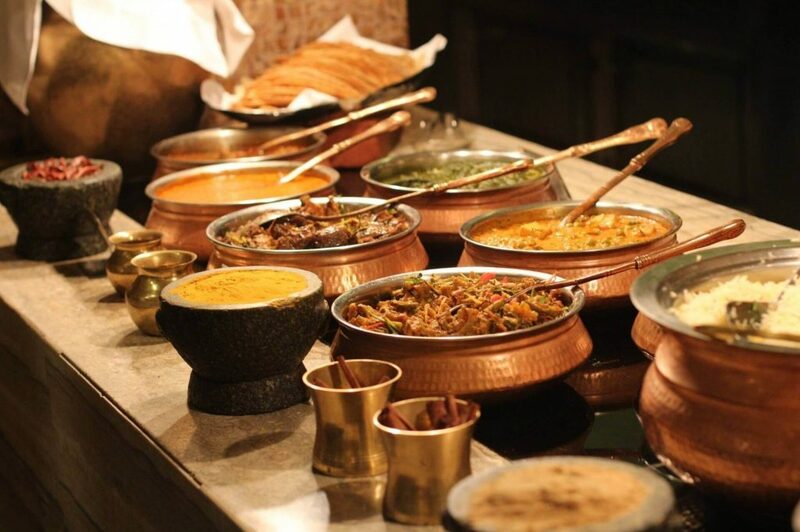 At dinner, an Indian host will courteously offer each dish several times to the guest. The guest will be asked to take econds, and the host will keep an eye on the plate while the guest is eating, spotting the moment part of the plate looks empty and politely replenishing it. This kind of excessive hospitality is very much a driving force of Indian behaviour, and is rooted in the Sanskrit saying, ‘atithidevo bhava’, meaning the guest is god. 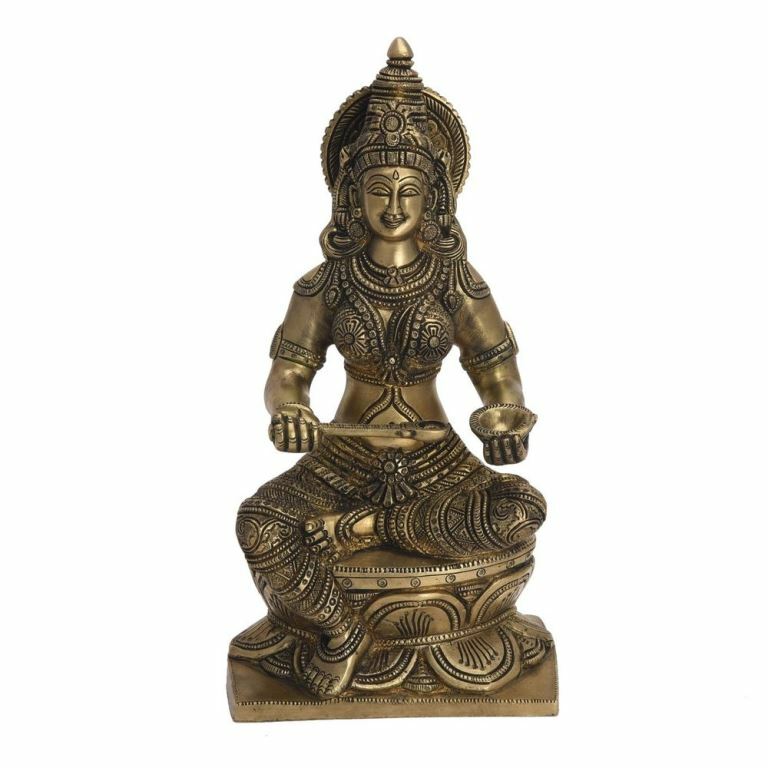 Offering food to the guest is the same as offering food to the gods. So what happens is this. You are invited to an Indian’s home. Perhaps you are the only expatriate there, and you may find it a little strange as your colleague’s family and other relatives are attending on you, serving you and watching you eat. It can be discomfiting; but from the Indian side, it’s a question of serving the guests and looking after them really well before feeding themselves. Moreover, there will be a lot of food! An Indian host won’t make just one dish, however wholesome or complete. When looking after guests, a host will make several dishes as the more there are, the more respect that is shown to the guests. And the food itself will be enriched with all the good things in life – ghee, cream and sugar. 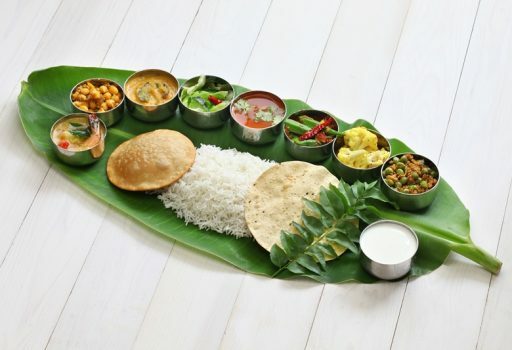 It is a unique aspect of India that food is measured both in the quality of taste and the quantity of dishes served. The ultimate expression of this is the abundance of food traditionally served at an Indian wedding, particularly in urban India. Guests are plied with food all through the many parties and ceremonies associated with a wedding, and the wedding breakfast may feature anything between 25 and 40 different dishes – 27 were counted recently at a Tamil marriage feast – so it is inevitable that there will be food left over at the end. Formerly, leftover food would be distributed around the village where the ceremony was held. Nowadays families may tie up with an urban-based NGO and give the leftover food for distribution to the homeless or to orphanages at the end of the festivities. About 30 percent of Indians are vegetarian (which is fewer than many think). Once it would have been unthinkable for a vegetarian Indian to eat alongside someone eating meat. This is rare nowadays, but it’s good to be aware of such sensitivities. What you will experience is the relish with which Indians talk about food (‘Have you had your lunch?’ from mid-morning onwards) and with which they enjoy and share their food. Indians like to eat with their hands – touching food and licking their fingers is all part of appreciating what mother earth has to offer (and means less washing up, too!). When eating out, it’s common to order two dishes and share them. In fact, it’s a surprise for Indians living overseas to find that their fellow diners don’t necessarily want to taste a bite of their food or share the dish they’ve ordered. Similarly, an Indian may find it discourteous that a Westerner may not even share a bottle or glass of water. For the Westerner, it’s their drink, they’ve put their mouth to the glass or bottle, and consequently sharing is out of the question. However, Indians can drink water like a waterfall without touching the bottle with their lips, so they can offer to share. These are small and subtle behaviours that show how food and drink form relationships. Understanding this will take you far in both business and friendship. ‘Will you have tea or coffee?’ ‘No thank you, I just had breakfast.’ ‘Oh, please, at least have a lime juice, that’s light.’ ‘No, I really don’t want anything.’ ‘Then can I get you a glass of water?’ ‘OK then, water will be great…’ This is the kind of conversation that starts when you come into an Indian scenario! Repeatedly offering you something to eat and drink is a way of offering you courtesy and respect, and as a guest you are expected to accept one of these offerings just because it is offered so graciously. You will always do well to accept and even if you can’t finish your drink, take a little sip to be pleasant and to build camaraderie. An invitation to a cup of tea is also an offer of a warm relationship. Interestingly, unlike many other parts of the world, Indians aren’t actually good at doing business over a meal! 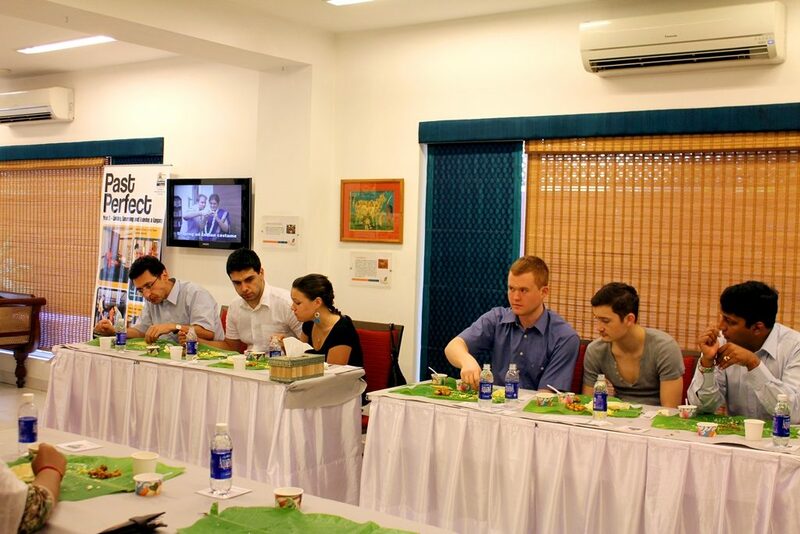 Because food itself is such an important aspect of relationship building, it often happens that the food will be the subject of the discussion for Indians. Talking about business while having a meal doesn’t come naturally. The flip side of this is that when Indians have to manage a meeting with Westerners over a meal, some preparation in the etiquette of how to do this is very helpful!